The iconic but neglected 14-story office building has gone through foreclosure and an exodus of tenants in recent years. 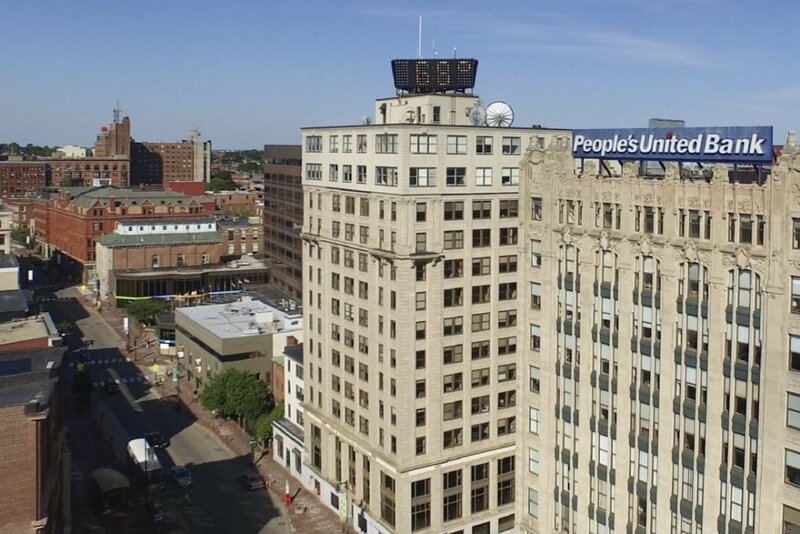 Downtown Portland’s iconic but troubled Time & Temperature Building has been sold at auction for $9.3 million. Bidding in the auction, which began Tuesday, had reached $5.25 million as of Wednesday night. The auction was scheduled to run until 1:30 p.m. Thursday, at which point the leading bidder would submit finances for approval to finalize the sale. However, the countdown clock for the auction kept being extended in small increments until roughly 1:45 p.m. The winning bid price was removed from the auction website after bidding was closed, but Matt Cardente of Cardente Real Estate in Portland, the lead broker for the auction, confirmed in an interview Thursday afternoon that $9.3 million was the winning bid. He said the sale price was in line with his expectations for the property. Cardente said the winning bidder’s identity would not be revealed until all of the required paperwork has been completed. He would not immediately disclose whether the buyer was a local investor. Conducted by Fisher Auction Co. of Pompano Beach, Florida, the auction had a minimum starting bid of $2.75 million, far below the building’s previous sale price of $12 million. The bid of $9.3 million Thursday afternoon far surpassed the Time & Temperature Building’s assessed property value of $4.5 million for tax purposes, but the auction also included three adjacent properties valued at a combined $4 million, for a total assessed value of $8.5 million. The 14-story office tower at 477 Congress St., which opened in 1924 as the 12-story Chapman Building, was seized by a collections agency in 2016 after years of neglect and a mass exodus of tenants. Marketing material for the auction said the building is currently about 38 percent occupied. The foreclosure placed the property in the hands of a Maryland-based “special servicer.” Special servicers are responsible for recovering assets on behalf of bondholders who purchased commercial mortgage-backed securities. The building’s prior owner, a subsidiary of New York City-based Kalmon Dolgin Affiliates LLC, had been negotiating with the special servicer, CWCapital Asset Management of Bethesda, to reduce the principal on the building’s $12 million mortgage. Those negotiations broke down in April 2016, and CWCapital initiated foreclosure proceedings. CWCapital set up a limited liability company called 477-481 Congress Street Holdings LLC and granted it the right to collect lease and rent payments. After more than two years of continued neglect and uncertainty about the building’s future, CWCapital has finally sold the property. Tenants have said they regard the sale as a positive development for the troubled office building. They hope the buyer will invest in renovations to restore the iconic office property to its former prominence.